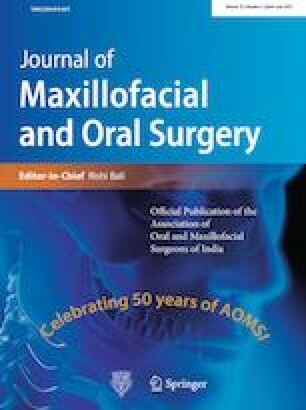 To highlight the spontaneous regeneration of mandibular segmental defects in young and pediatric cases and to review the literature of this unusual and rare phenomenon. Two case reports of a 17-year old male and a 8-month-old infant has been presented who underwent resection of mandible for benign tumors. These two cases have been compared with the existing literature of 61 cases published till date. Spontaneous regeneration of mandible as a viable reconstructive option is not practically feasible. The consistency and predictability of the phenomenon is questionable. Bone grafting should probably be done immediately in all cases, even in young patients if a delay would interfere with quality of life. In infants and small children though, we propose that immediate reconstruction may be avoided to allow some regeneration at the defect site. If it does not occur, secondary reconstruction may then be considered. This is an observational study conducted after routine surgery and did not need any funding from any private or government institution. No conflict exists. Both the authors, Sachin Rai and Vidya Rattan, declare that they have no conflict of interest. This is an observational study conducted after routine surgery and did not need ethical approval. All procedures performed in studies involving human participants were in accordance with the ethical standards of the institutional and/or national research committee and with the 1964 Helsinki Declaration and its later amendments or comparable ethical standards. Informed consent was obtained from all individual participants included in the study to publish their postoperative results and pictures.